An oldie but goodie. :D I think I will post it here although it could just as well be on Alisa's thread. 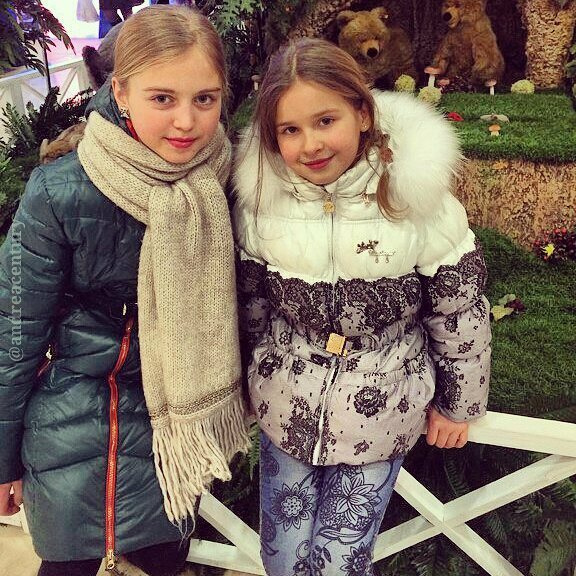 This is titled "Best friends"
Sofya wants to be the Minister of Culture. I made this little "remix" of Sofia's JESC song, added some dreamy elements and stuff. It's just a test version, please tell me what you think and how to improve it. Thanks! Jonny wrote: I made this little "remix" of Sofia's JESC song, added some dreamy elements and stuff. It's just a test version, please tell me what you think and how to improve it. Thanks! Sounds great to me. As for improvements, I wouldn't have a clue. I'm the least creative person alive. Here is a remix created by Jonny that I thought was so good that I took the liberty of posting it here. Great job Jonny!! I didn't like it as much as her original version. I was wondering why they were singing English at the end. Someone asked Sofya on VK if this was going to be a group song at the contest and she replied that it would be a solo performance. I just don't understand what is going on. bruce 34 wrote: I was wondering why they were singing English at the end. I am pretty sure that I recall that being a Junior Eurovision contest rule. When Anastasia Petryk won the contest in 2012 with Nebo, there was a rule that a certain percentage of the song had to be in English. I also recall that Alisa Kozhikina sang the last verse of her song Dreamer in English when she was competing in 2015. I don't think it's an option. "The song must be written and sung in the national language (or one of the national languages) of the country being represented. However, they can also have a few lines in a different language." I guess they must use English then because it would be the language most likely to be understood by the voters in other countries. I thought I saw in a previous year that if English is not the national language the contestants can sing not more than 20% of their song in English but it is not necessary. I had a look at Lidia from Bulgaria and the last part of her song is in English. BTW, she is my favourite atm. This is funny , but I totally agree with them!